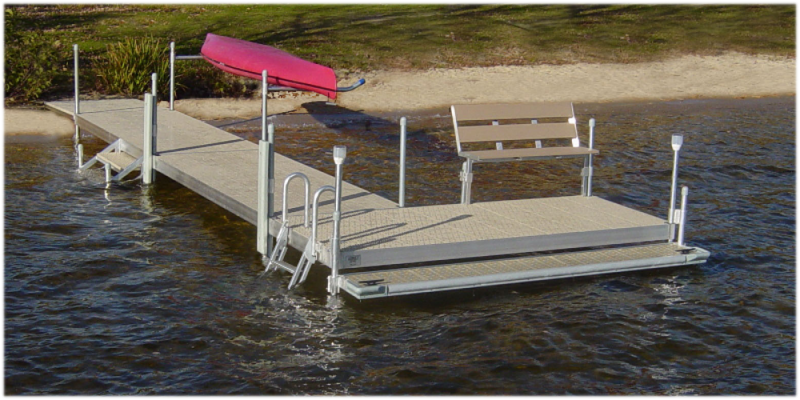 The FeatherLite aluminum docks are lightweight standard duty boat docks, very easy to install and remove. 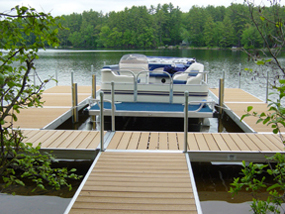 The FeatherLite boat docks are designed for stationary applications only. They are designed to handle aluminum fishing boats, day sailors, canoes, and kayaks. 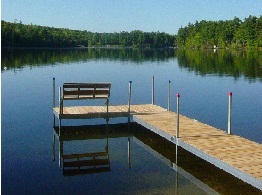 Feather-Lite Docks are a great, easy to handle, and economical choice for your waterfront. 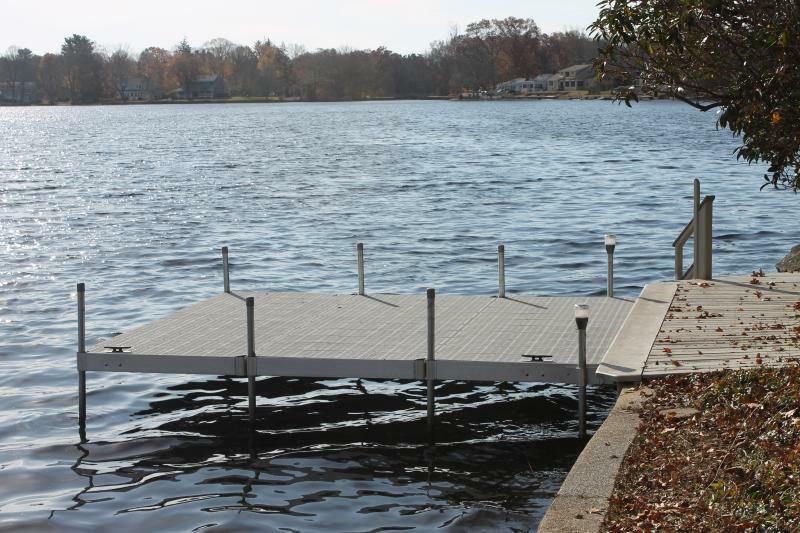 The FeatherLite docks are built stronger than other aluminum docks on the market.They are constructed with a 5" double walled, marine grade, aluminum extrusion. Our welders weld the round corner sockets at each corner. We use 1-1/2" schedule 40 galvanized steal pipe for legs, which are driven into the lake bed for added strength and stability. 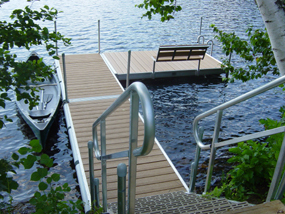 FeatherLite docks are fabricated in two sizes only, 4' x 10' and 6' x 10', available with knotty cedar or ThruFlow (fiberglass reinforced polypropylene) decking. We also carry a wide array of accessories designed specifically for mounting on our FeatherLite system.